THERE ARE FOUR THINGS that everyone needs to understand. Not tomorrow, not next week, not next year, not next decade. Today. ONE: The hyperconnected planet is already happening. TWO: Eventually, the technologies presented in this publication will become part of our environment and daily lives. THREE: It will inevitably change our relationship to the physical world and our relationships with other people, affecting communities, societies, and economies. FOUR: It enables new opportunities for a good life within the planetary boundaries. 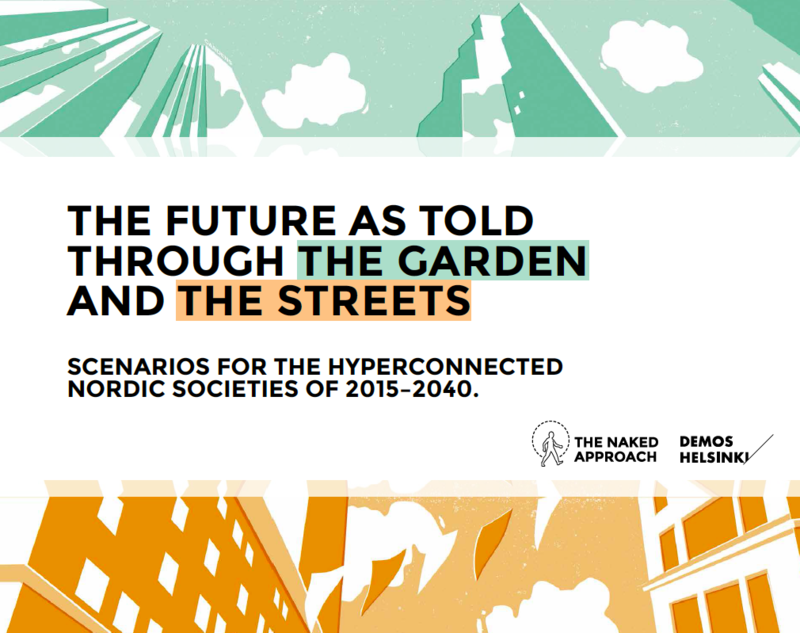 The scenario report investigates 5 most important tensions in the future of hyperconnected society.